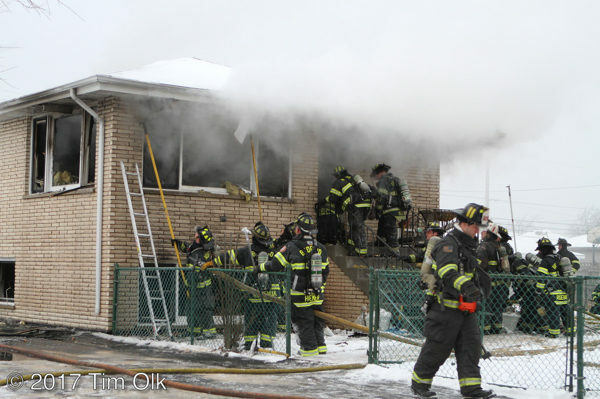 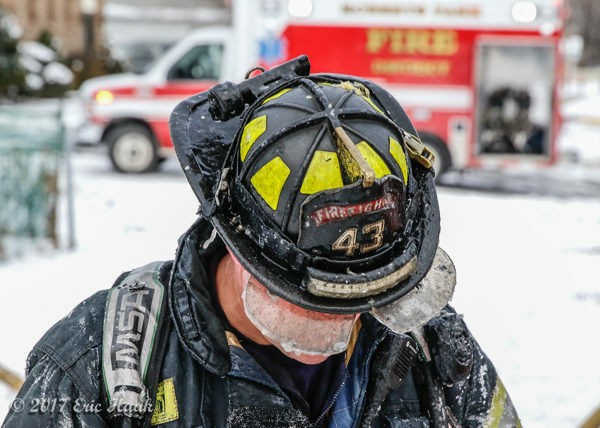 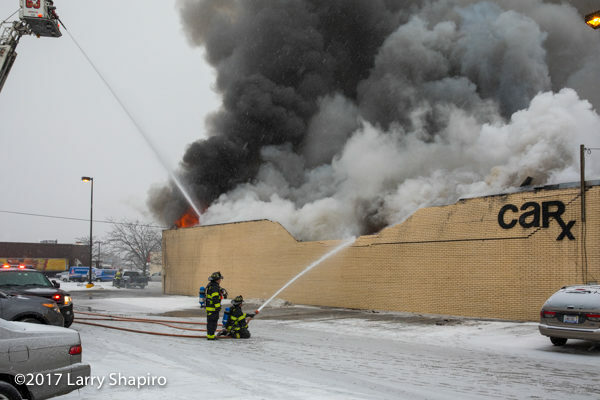 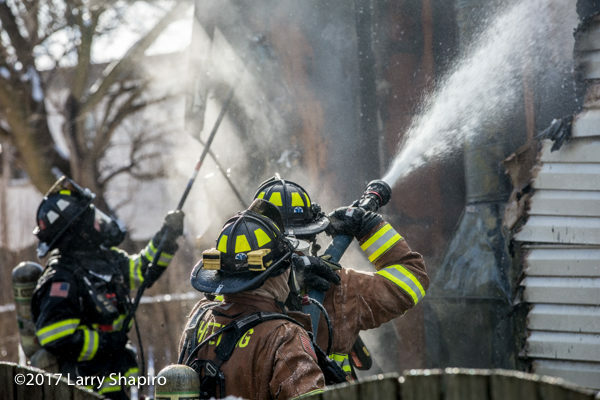 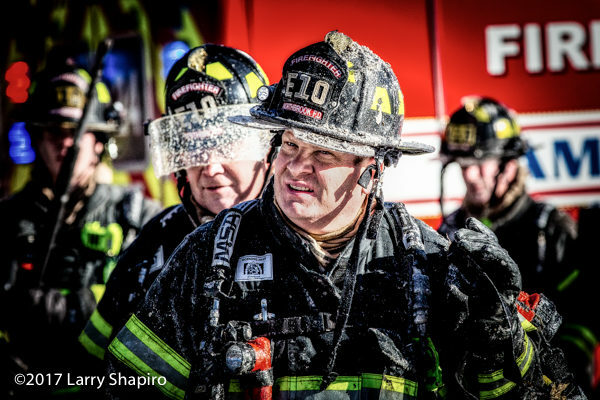 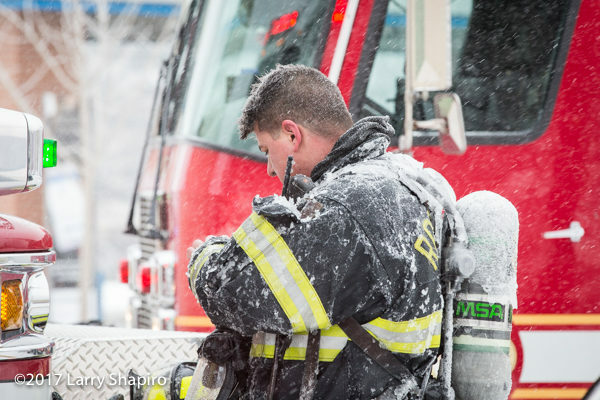 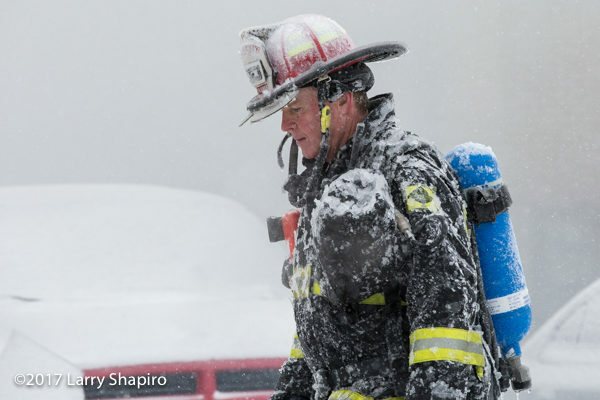 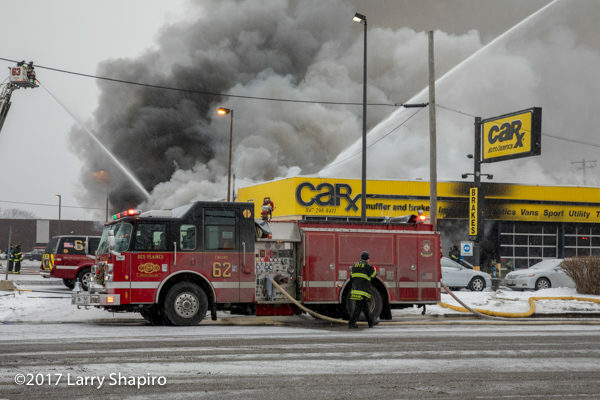 Des Plaines (IL) firefighters were called to 1108 E. Oakton this afternoon (12/29/17) for a fire in the Car-X Muffler shop, half a mile from Des Plaines Station 62. 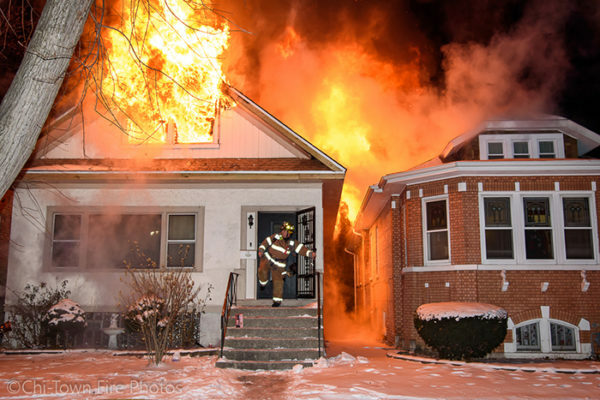 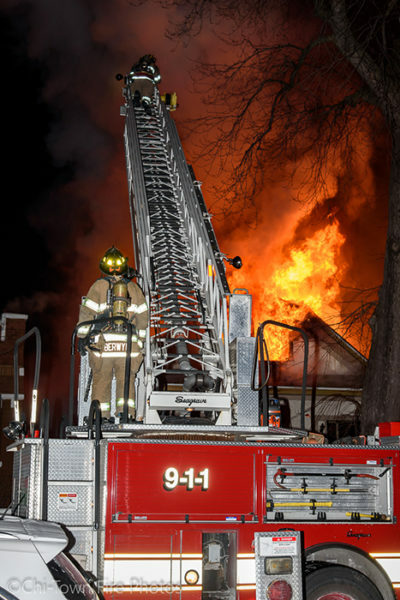 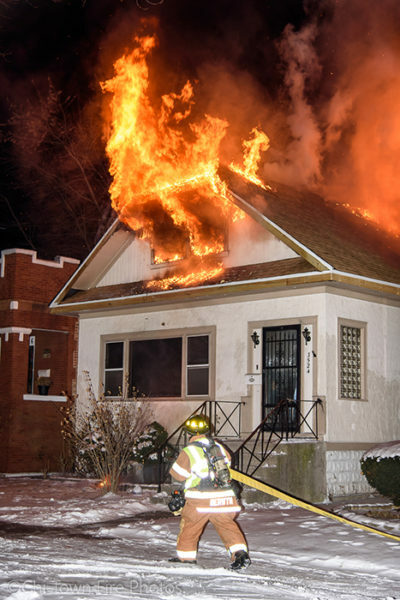 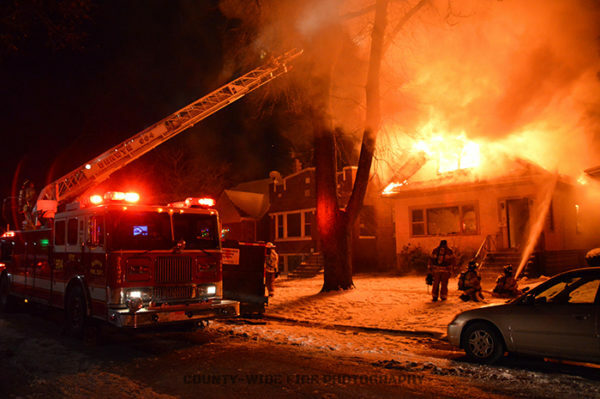 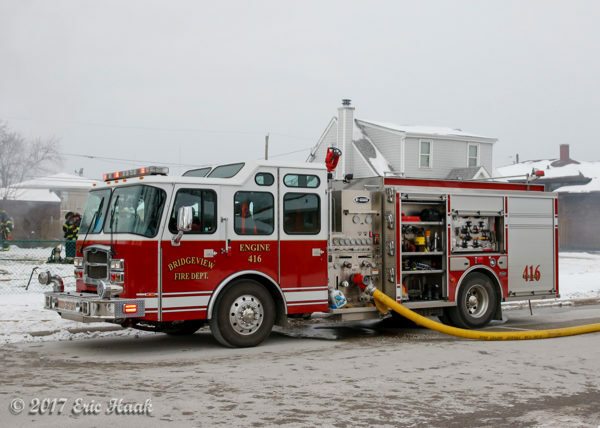 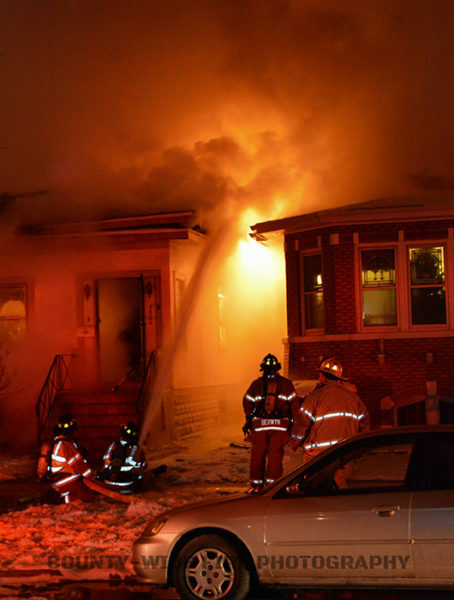 Upon arrival Engine 62 reported a fire and initiated an interior attack. 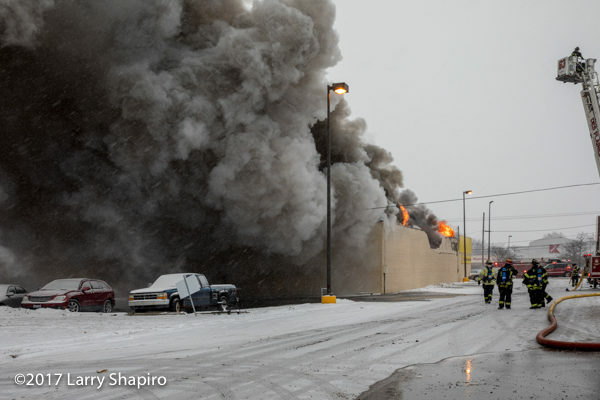 The size up reported fire visible from two sides and through the roof very shortly thereafter. 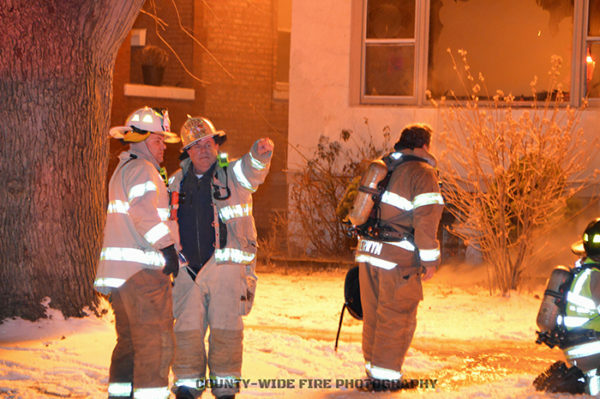 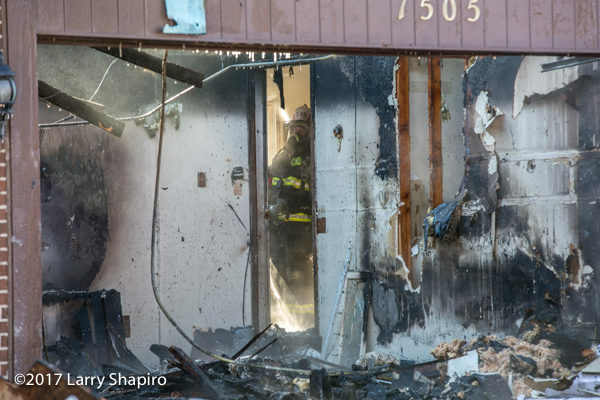 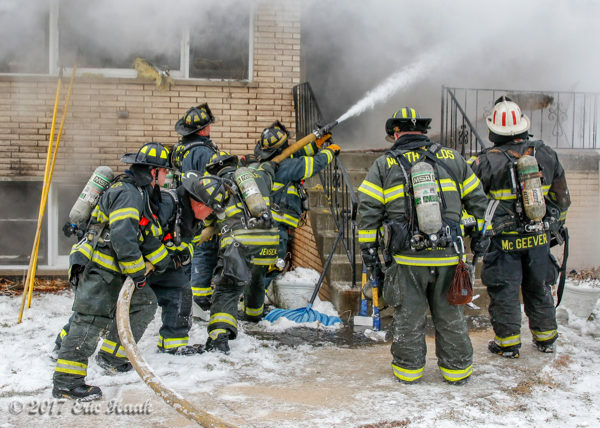 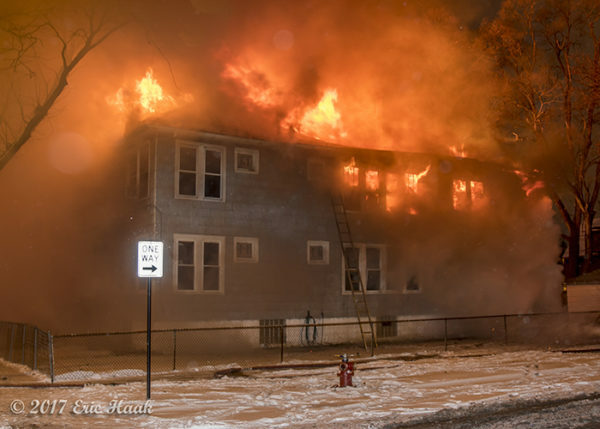 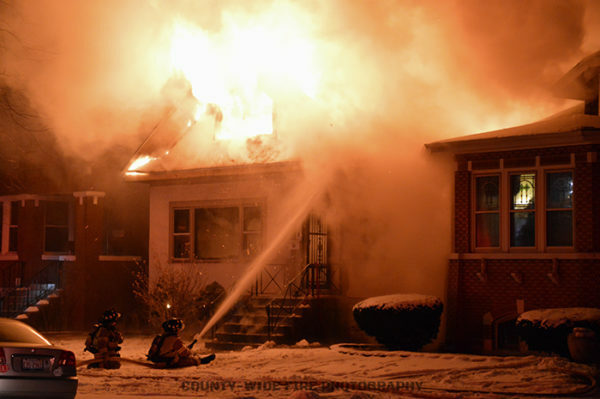 Companies were soon ordered out of the building to initiate an exterior attack. 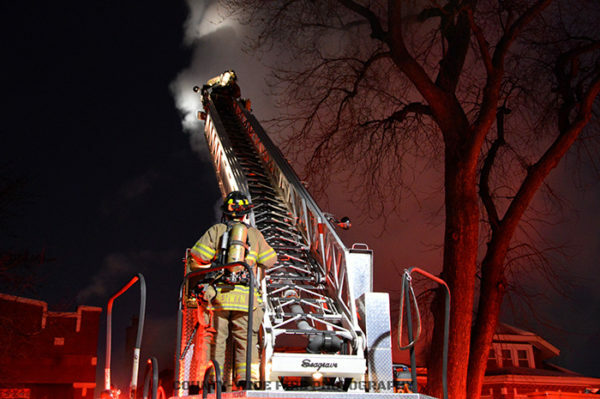 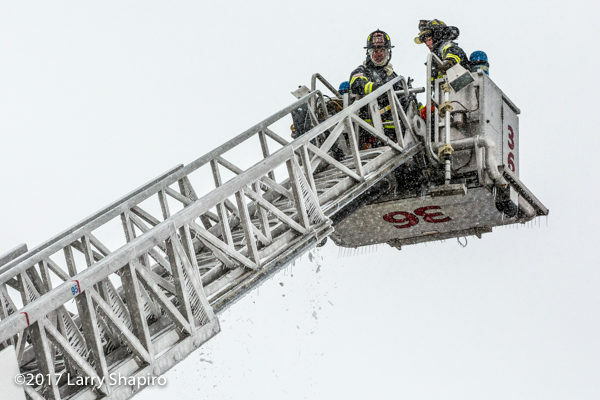 Both Des Plaines tower ladders were put to work as the incident was upgraded to a working fire. 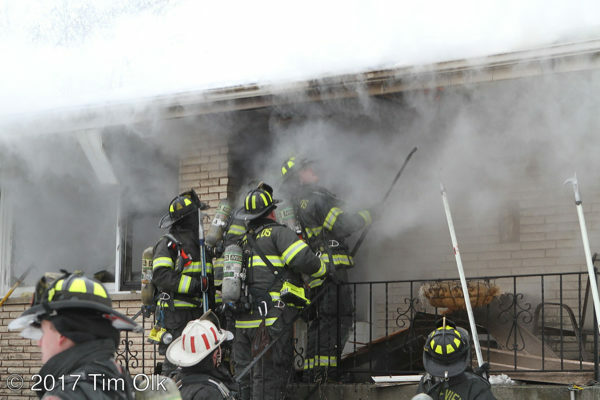 The B-sector wall failed within minutes and portions of the roof went with it. 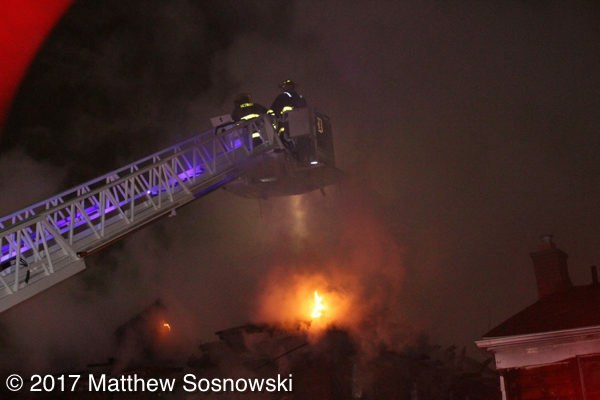 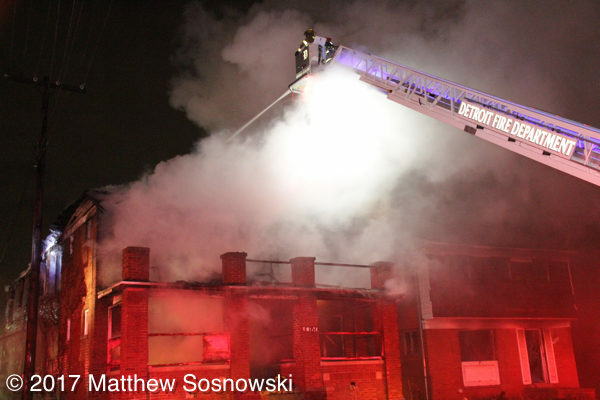 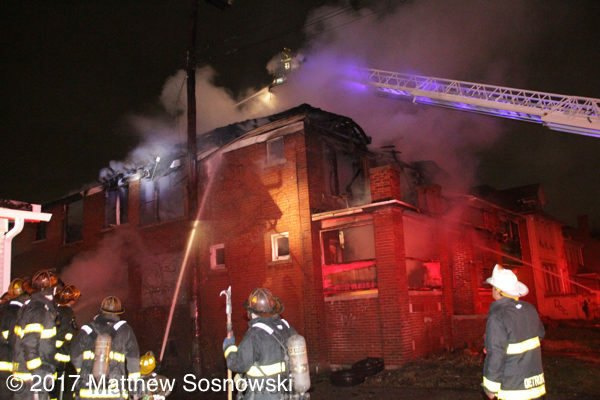 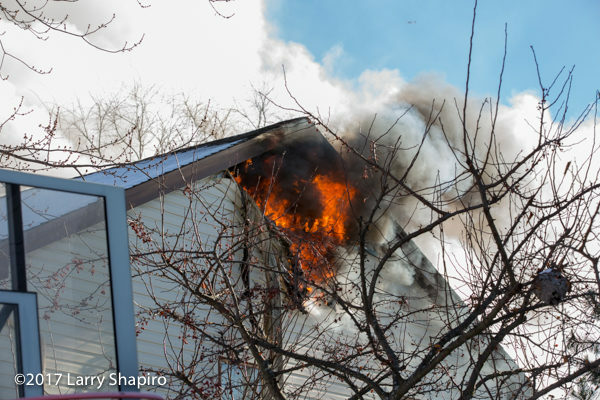 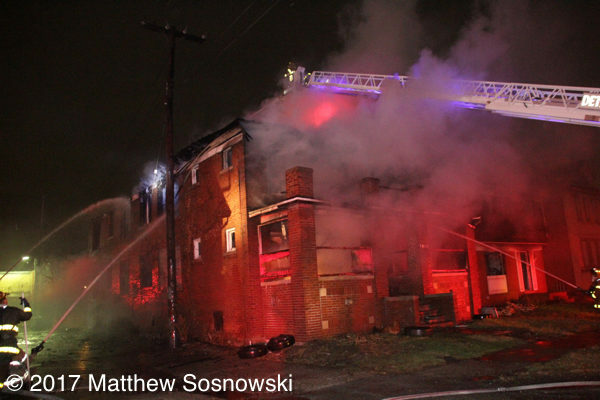 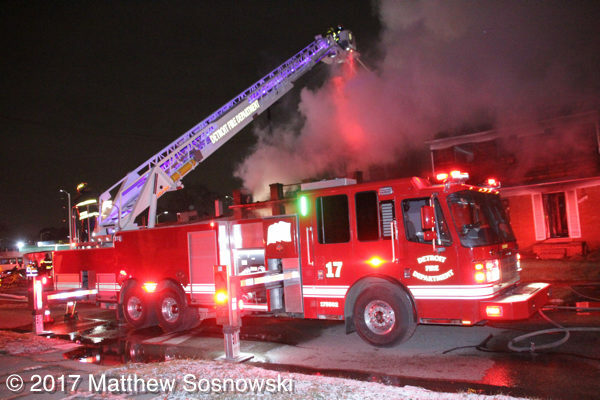 A MABAS Box Alarm was requested bringing additional resources to the scene. 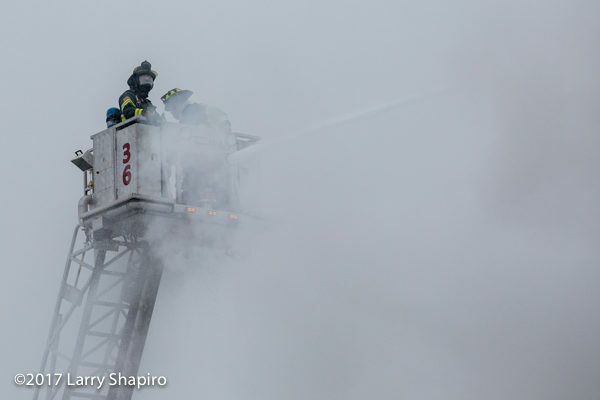 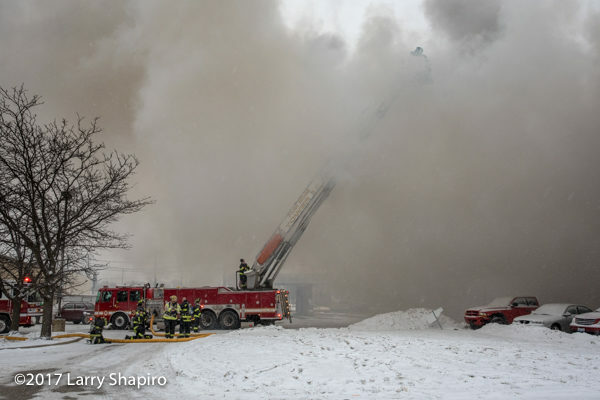 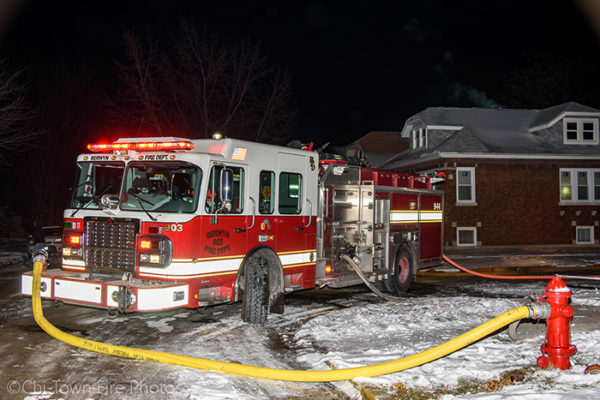 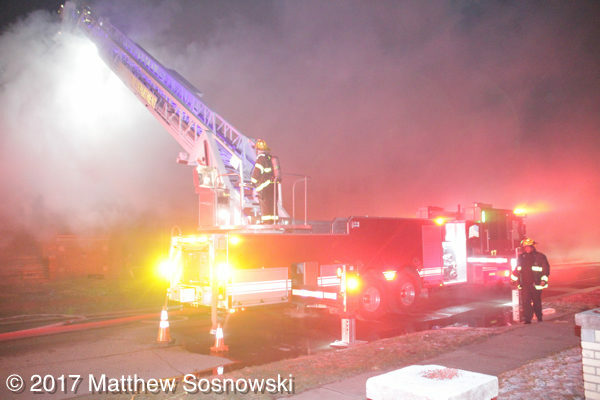 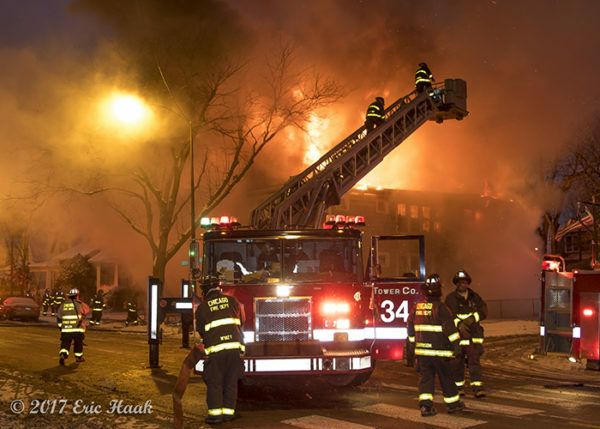 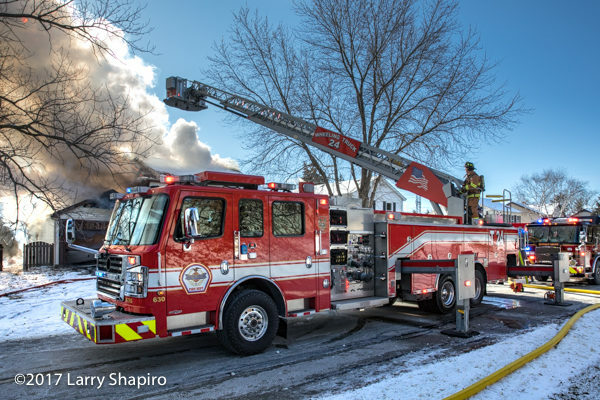 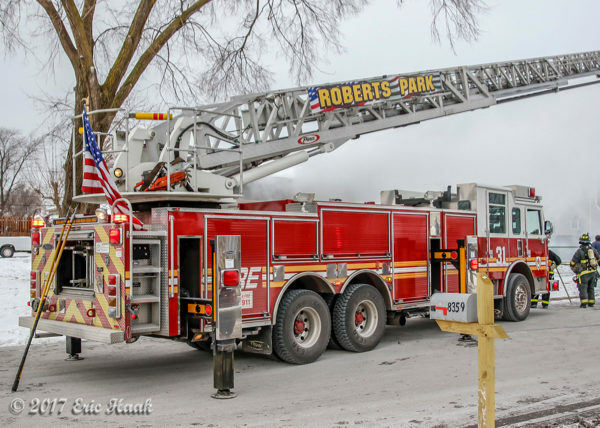 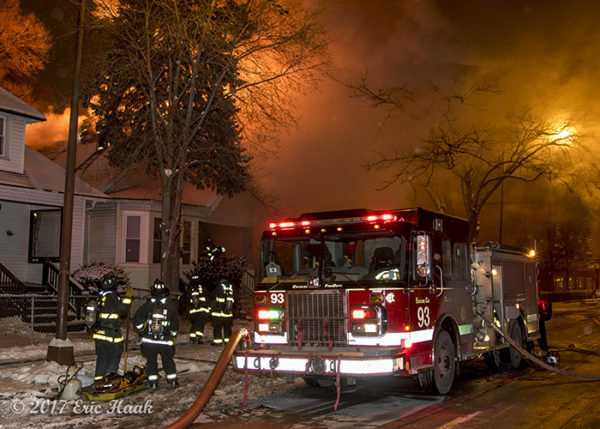 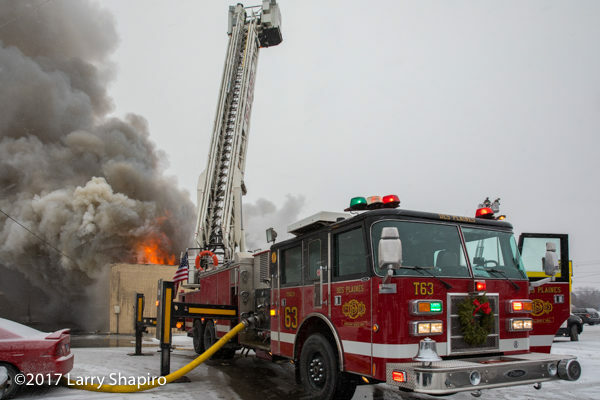 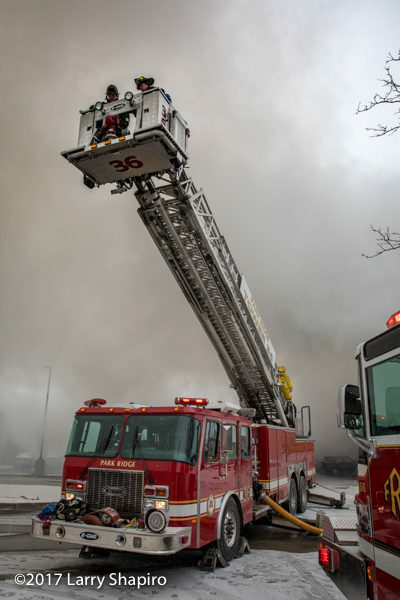 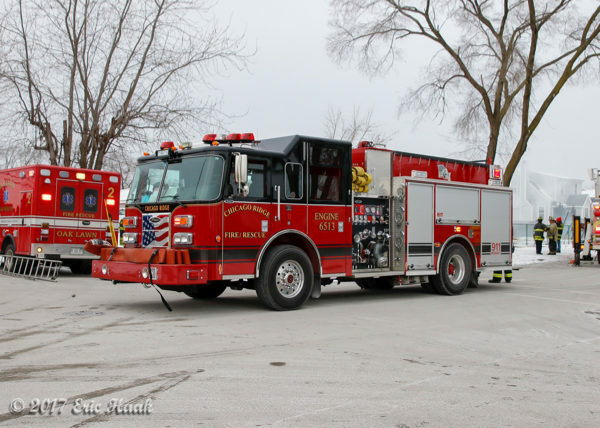 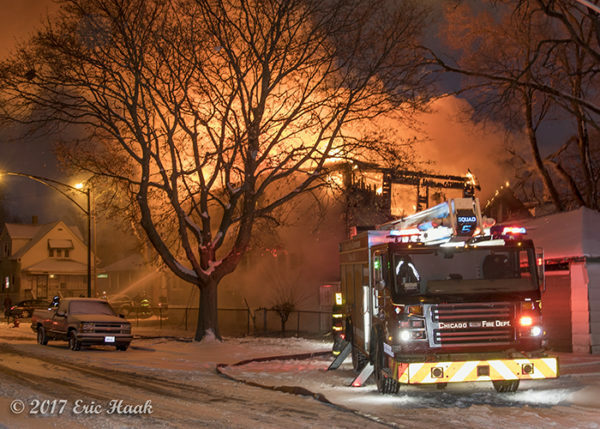 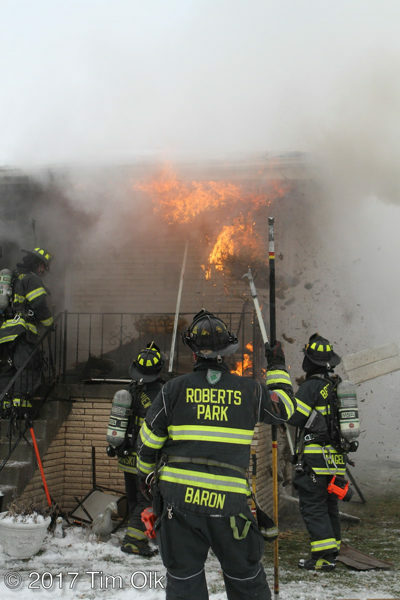 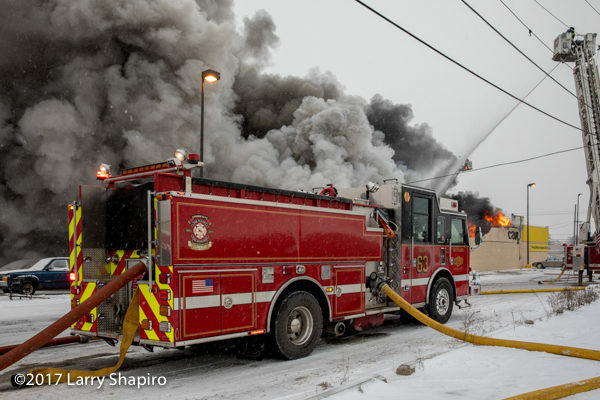 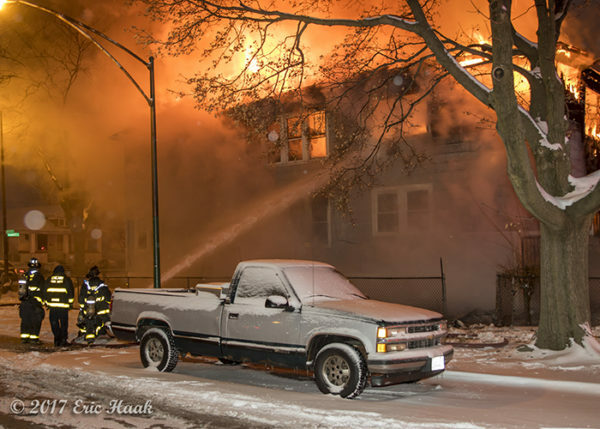 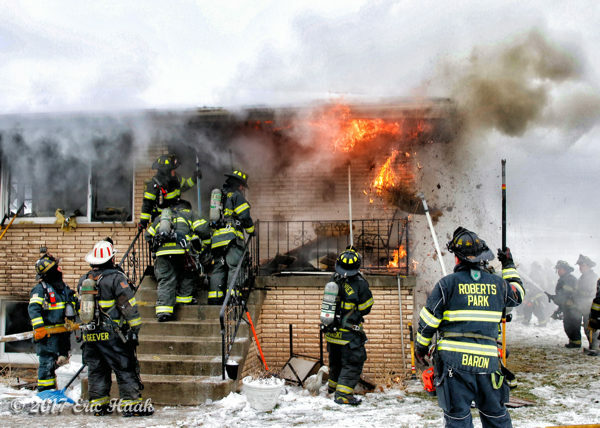 Park Ridge Tower Ladder 36 was sent to the rear for a third elevated master stream supplied by a Rosemont engine. 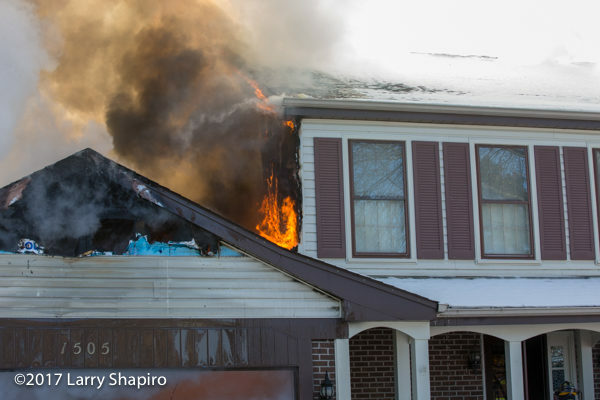 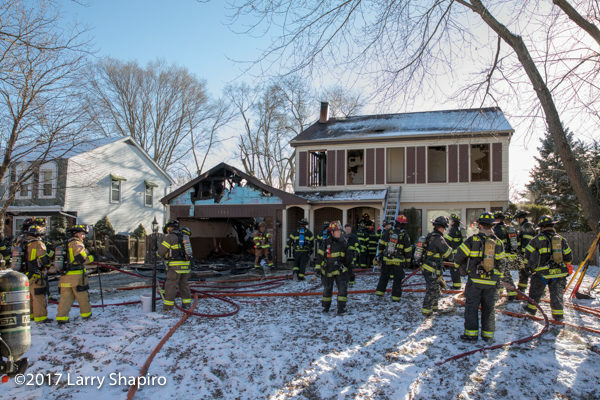 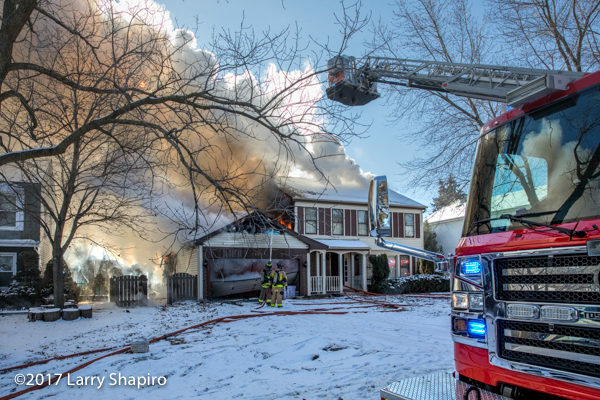 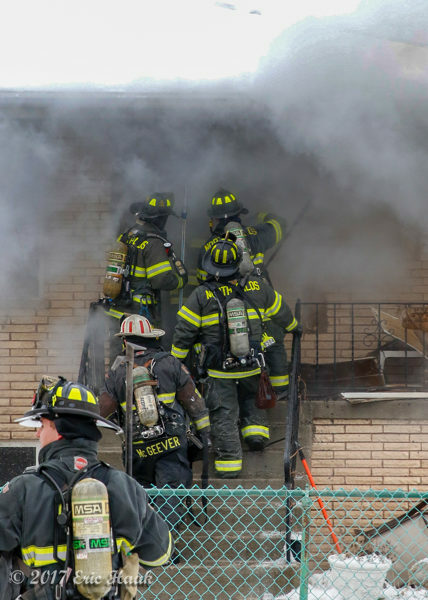 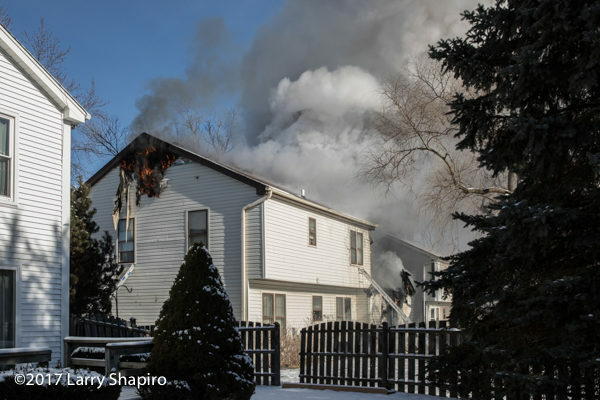 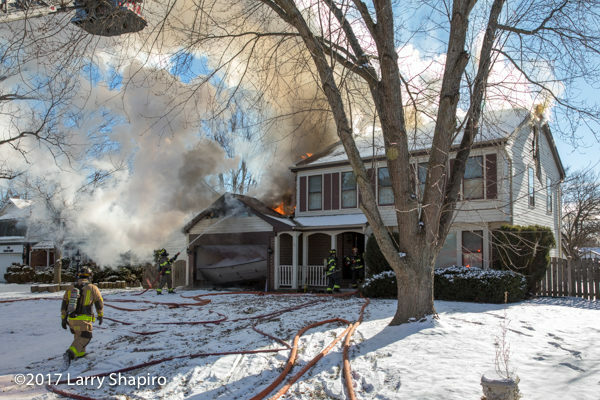 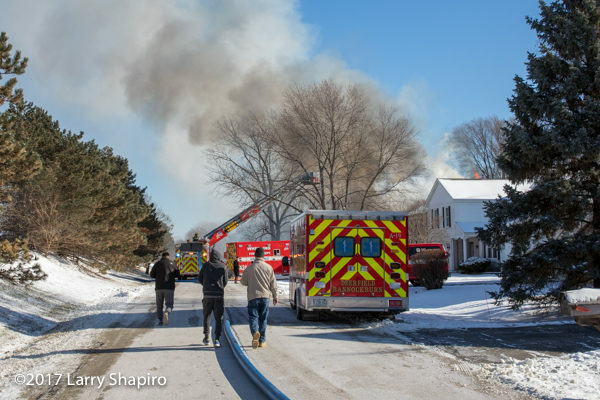 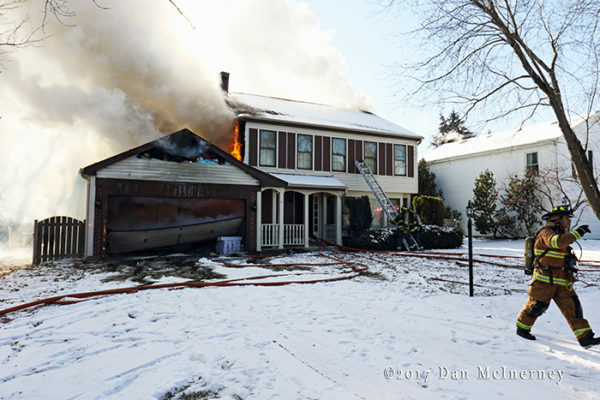 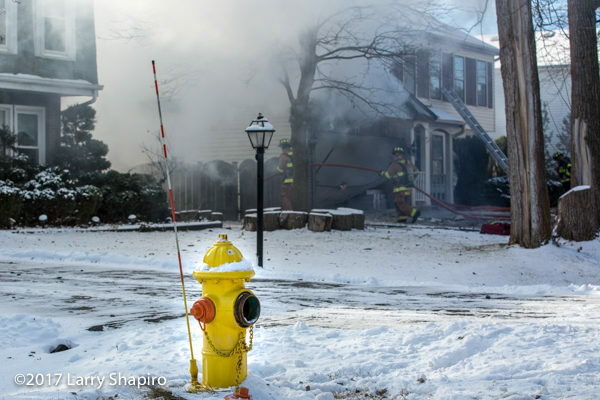 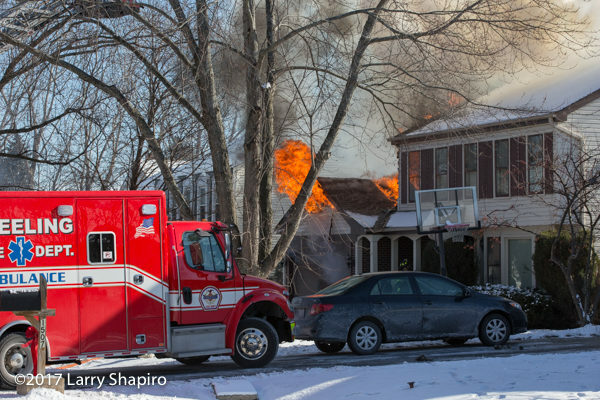 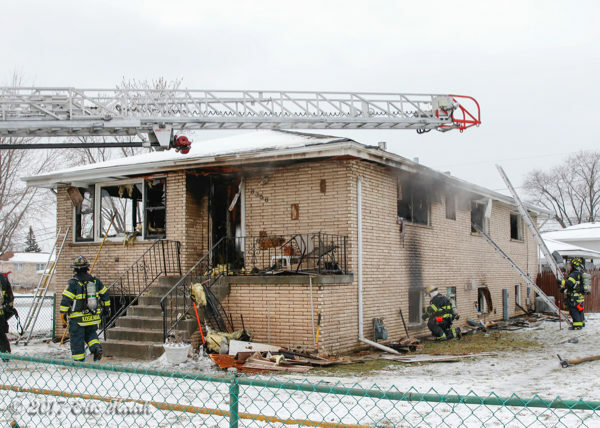 Lincolnshire-Riverwoods (LRFPD) in Illinois and neighboring firefighters were sent to 1505 Garden Court in unincorporated Lake County just before noon today (12/26/17) for a house fire. 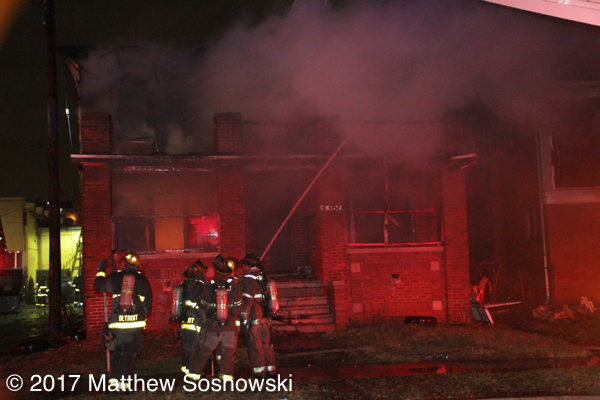 Units responding reported a header in the sky long before they arrived on the scene. 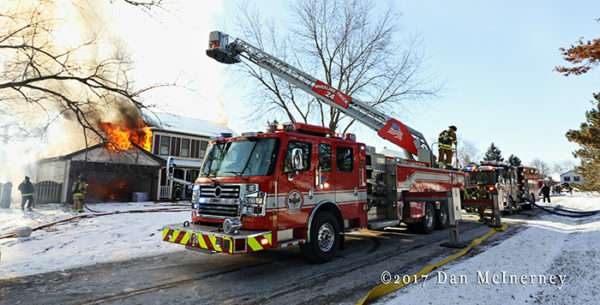 LRFPD Battalion 51 found flames blowing out of the garage and attic upon arrival and requested the working fire upgrade. 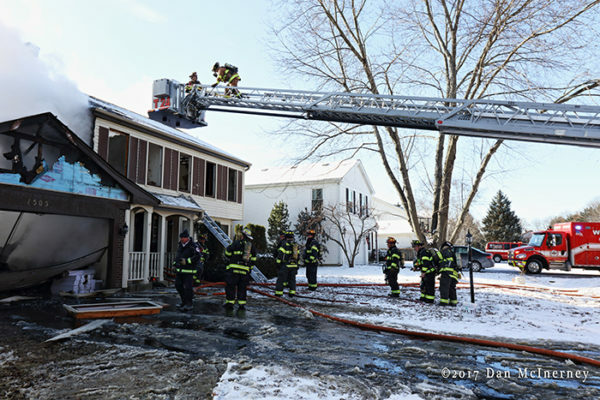 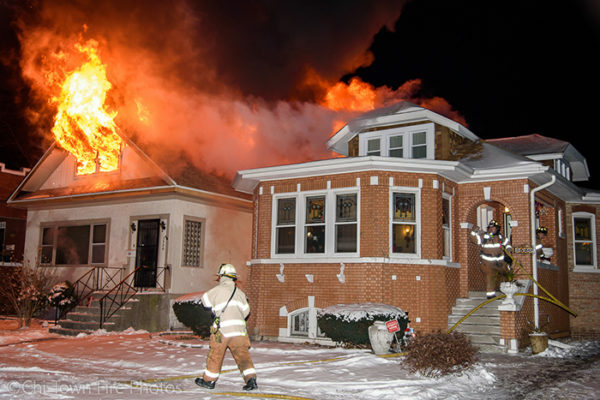 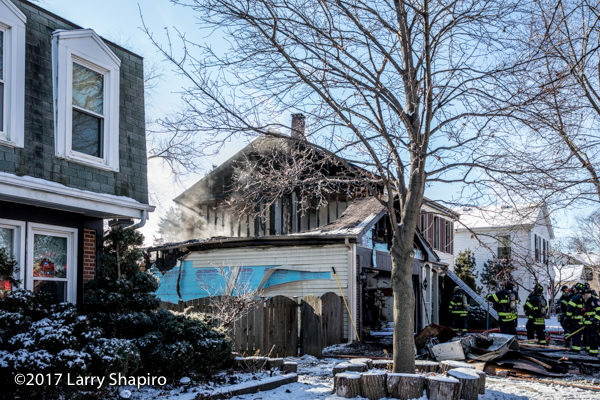 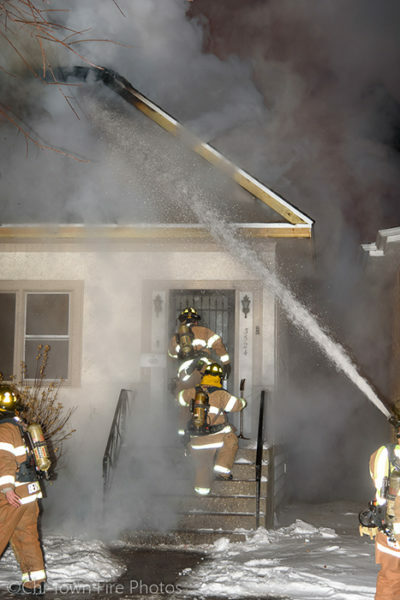 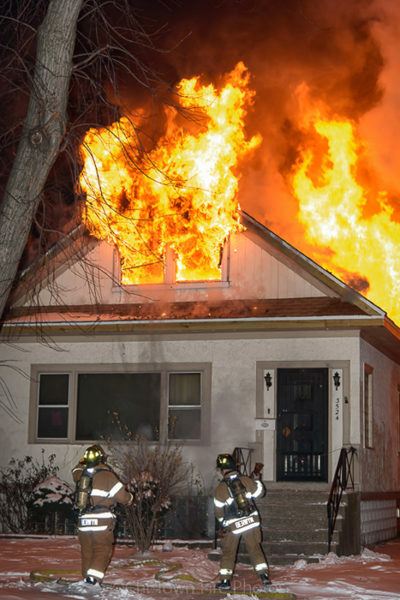 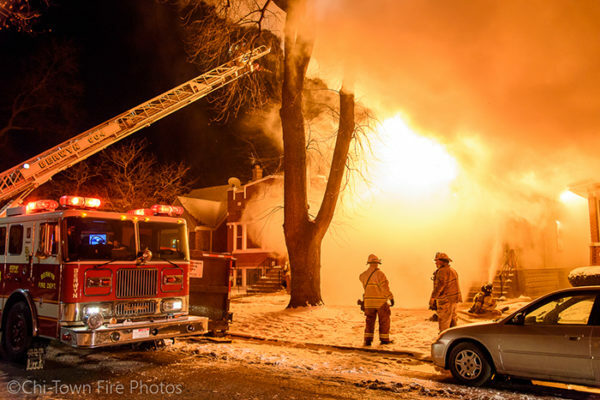 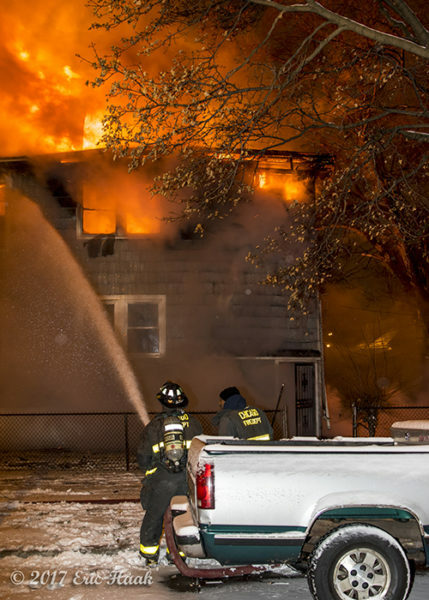 It appeared that the house may have been unoccupied at the time of the fire and was undergoing renovation. 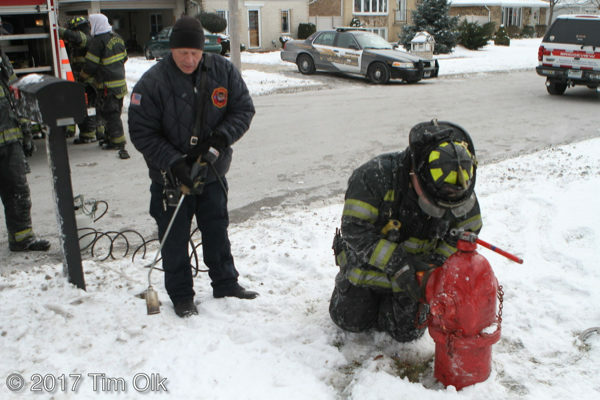 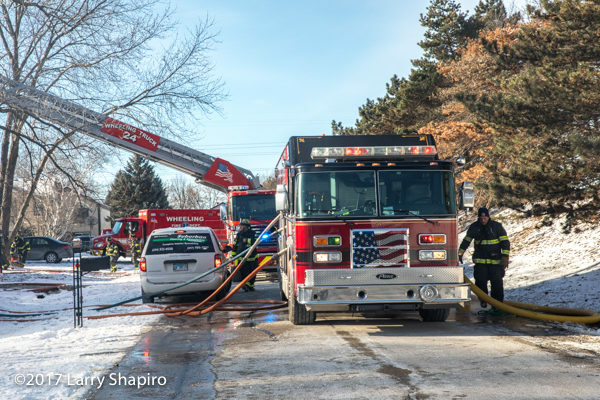 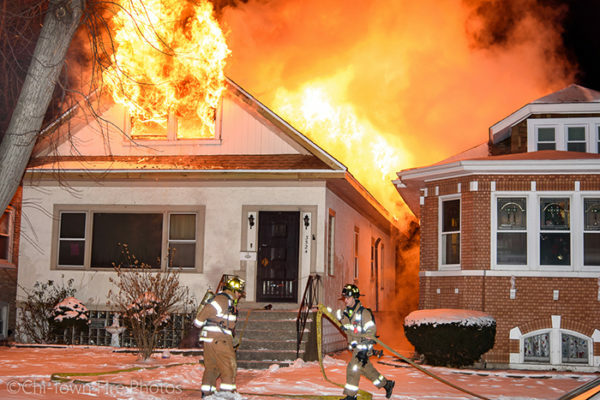 The first hydrant was found to be inoperable and as lines were pulled from LRFPD Squad 51, Buffalo Grove Engine 26 dropped a large line from the end of the block to establish a continuous water supply. 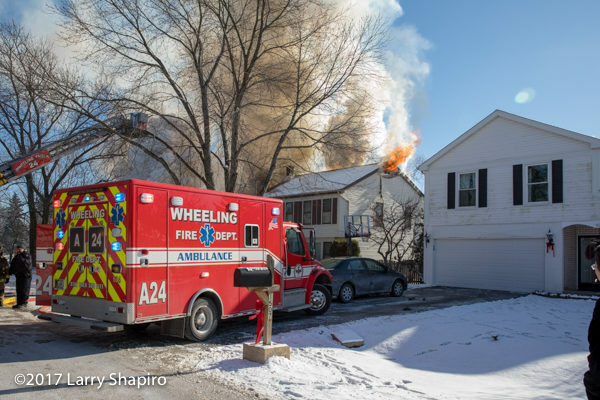 Wheeling Tower 24 was setup in front of the house. 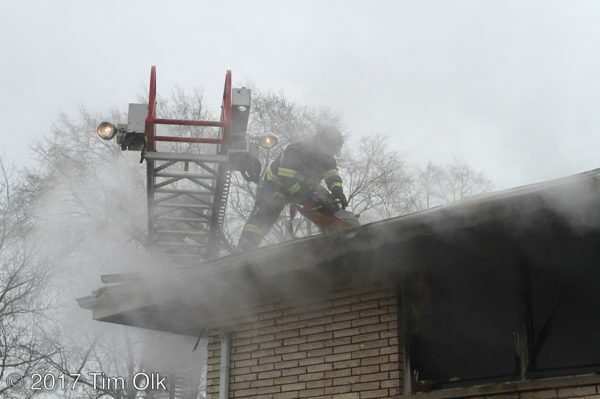 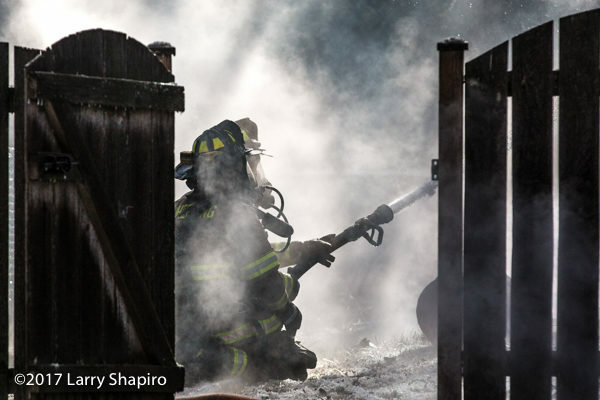 An interior attack knocked down the fire on the second floor and attic as other lines hit fire in the garage. 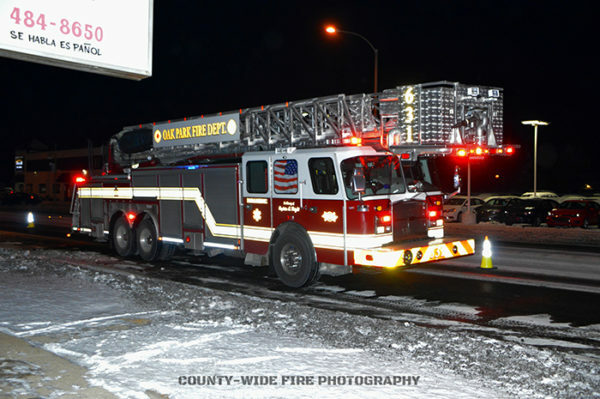 The alarm was upgraded to a MABAS Box Alarm bringing additional units to the scene.